This conversion charts page is an important page if you want to use the authentic German recipes of mybestgermanrecipes.com. Almost daily we get requests to convert the recipes into US measures. This is understandable and we know that grams and liters are a different measure world in cooking. Let's talk about now why we don't convert the recipes. Grams, liters, kilogram are the measures if the professional cuisine. The German recipes on this website are all original German, so they are in the German measures. If we would start to convert now almost 500 recipes how long would you think it would take us to do this? Yes, quite a long time. PLUS the cooking and baking results might not turn out as they should be. Example: The recipe asks for 175 g butter. One stick of butter is 113,4 gram. Can you see how complicated this will get? It is way easier to get a good quality digital or manual scale. It is a good investment to spend $10-30 in a scale and you will be able to make all these great German recipes. Pounds to Kilogramm: multiply with 0,45 - example: 2 Pounds x 0.45 = 0,9 Kilo or 900 Gramm. These measurements are only approximate. 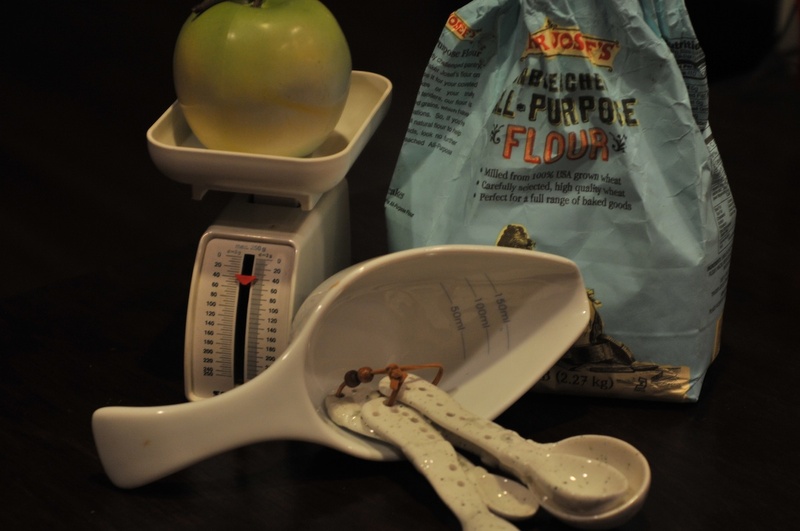 For best results use a kitchen scale.